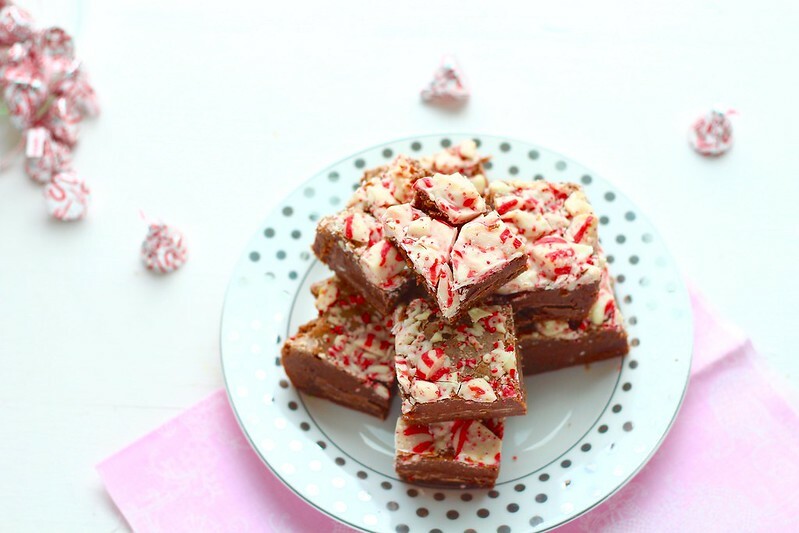 What is it about chocolate and peppermint that seem to be the iconic christmas dessert? I know I am all about those two flavors this time of the year. Because, why not? 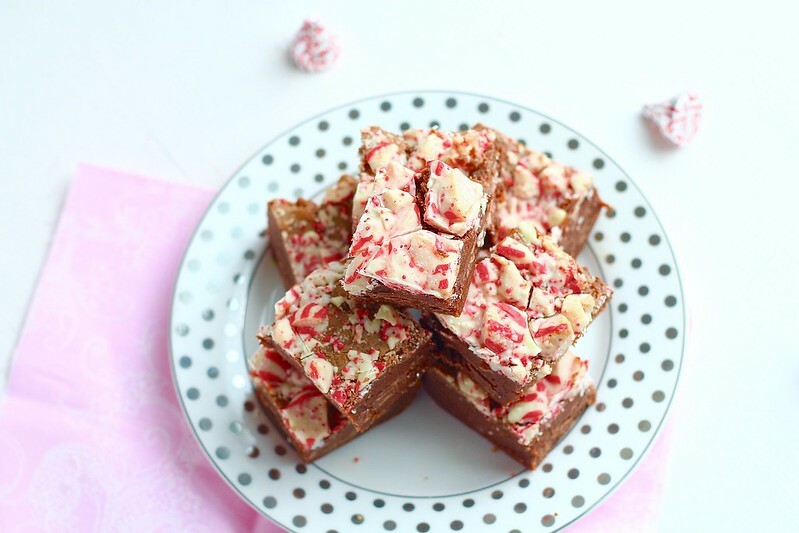 I kind of have a love affair with peppermint all December. And sometimes other times of the year when I can't wait that long. These brownies are seriously on point. They hit all the right flavors. Although I am generally not a big brownie person (much to my husband's disappointment), I will gladly sit and eat these. Maybe it's the peppermint. Maybe because it's the christmas season. I don't know, but it is so worth it. 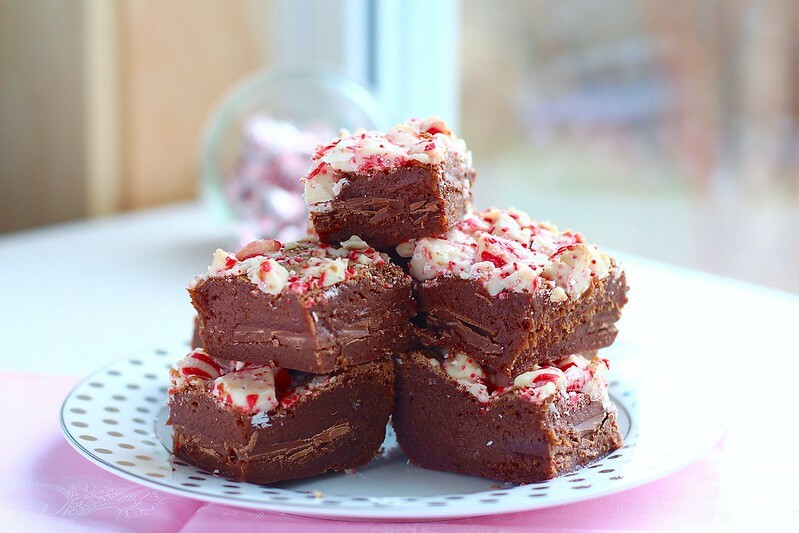 These are no ordinary brownies either. They secretly have chocolate bars hidden in the middle. Hello! 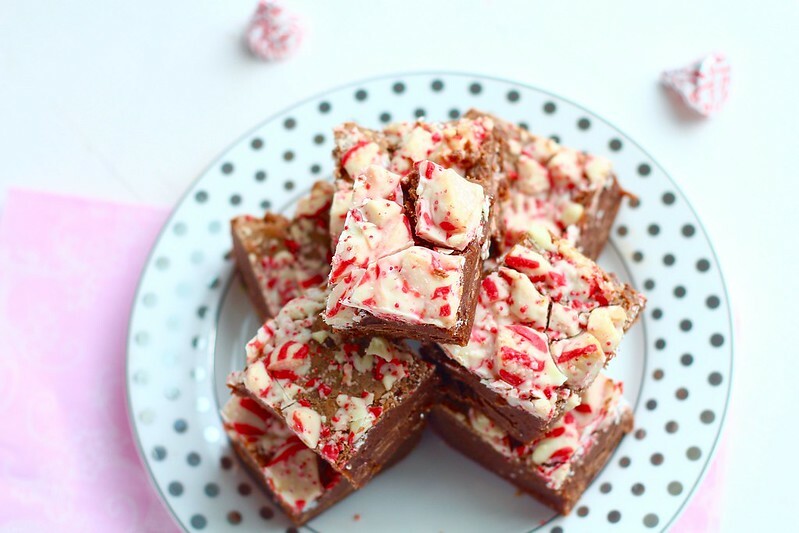 And chopped white chocolate peppermint Hershey kisses are scattered over the top. Now that is what I call one heck of a brownie. Get in the holiday spirit, make a pan of brownies. Eat them, share them, give as gifts, hoard for yourself. What ever you decide, enjoy them! Preheat the oven to 350ºF. Line a 9×13-inch baking pan with tin foil and spray lightly with cooking spray. Combine the chocolate and butter in a heatproof bowl set over simmering water. Heat, whisking occasionally, until completely melted and smooth. Remove from the heat. Place the eggs and sugar in a large mixing bowl. Whisk in a little bit of the melted chocolate mixture, to temper the eggs. Slowly pour in the remaining melted chocolate, whisking at the same time as pouring. Whisk in the peppermint and vanilla extracts and the salt. Whisk in the flour just until incorporated. Spread half of the brownie batter into the prepared pan. Layer with the milk chocolate pieces. Spread the remaining batter evenly over the milk chocolate pieces. Bake 30-35 minutes, or until a toothpick inserted in the center comes out with a few clinging crumbs.